Britain’s Ewan Wilson and Finley Armstrong finished fifth in a 79 strong fleet at the first 29er Eurocup of the year. 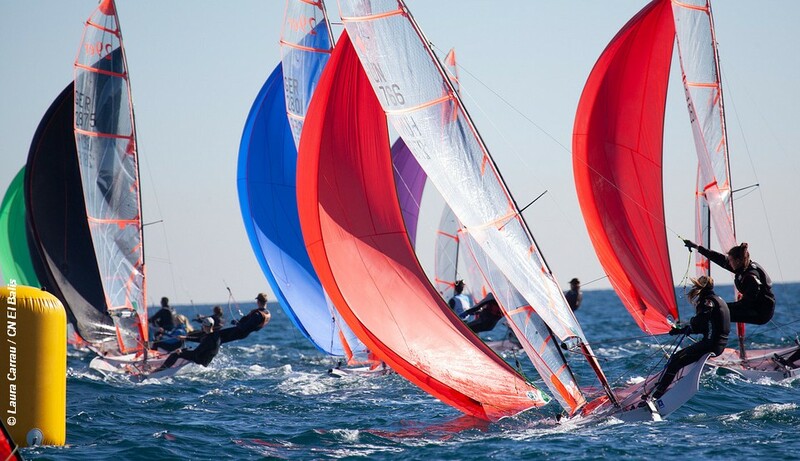 The first event of the 29er MedSailing season took place at CN El Balis, Spain, with victory going to the Valencian pair Enrique Urios and Filippo Binetti. The early overall leaders Aristide Girou and Noah Chauvin of France finished second, and third were Ville Korhonen and Edvard Bremer of Finland. Other GBR competitors finished: 18th Freya Black and Jessica Jobson, 26th Monique Vennis-Ozanne and John Mather, 27th Elodie Edwards and Hannah Morris, and 32nd Tom Storey and Pierce Harris. Lucas and Teo Parés took first in the 420 MedSailing, and Patricia Figuerola first in the Europe class.